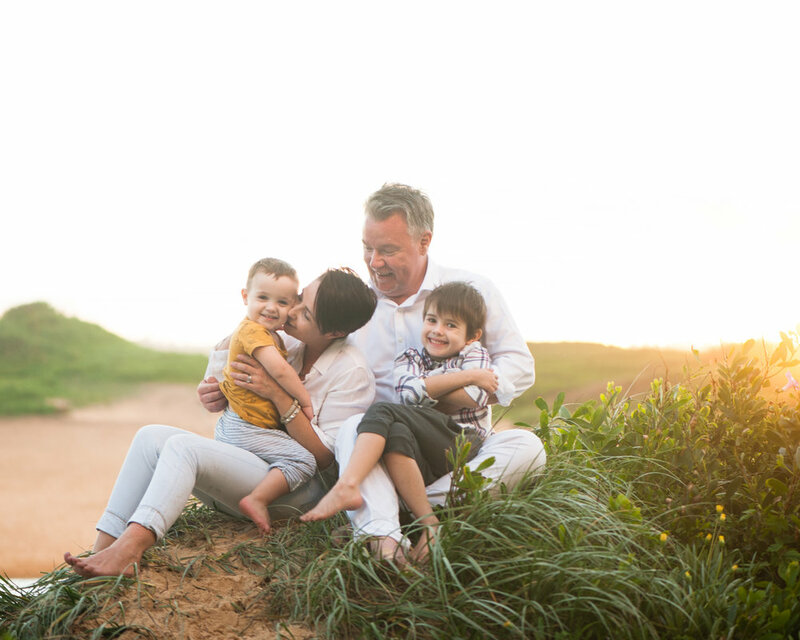  I spent such a long time desperate for a great, fun family portrait (because I am the only one who takes photos of our kids so I was mildly concerned that my kids are going to look back on their babyhood and wonder where the hell I was!) but all i could find were posed studio portraits that just do not reflect my family life in any way. And then after much searching I found Cris! And thank goodness because she was able to capture each of us individually AND in our dynamic little unit perfectly. The photos are just beautiful. I am having trouble limiting how many I frame. And Cris is just a joy to work with; she is patient, kind, fun (comes fully stocked with bribery marshmallows) and, not to mention, insanely talented. I could not recommend Little Love Photography highly enough. Thanks Cris. Wow and thank you so much, Cris! Your creative and photographic talent is truly amazing. How on earth do you capture my children so well? I’m blown away, each and every time I click the link you send me to view our family photos. I look forward to our annual pilgrimage to catch up with you, because the memories you capture for us are the best gift ever! Cris, I have no words to describe how beautifully you have captured our family. I honestly don’t know how you managed this... Utterly speechless and so thrilled with the result. No other words. We are in! For everything. I love the slideshow! I just saw the photos 5 minutes ago and I don’t know what to say. I bawled my eyes out from start to finish - they are a thousand times better than I hoped for and I am eternally grateful! I was sobbing when I saw the one of Grandma with Hunter & then the one of Mike kissing grandma! I’m just so happy... and emotional! Thanks again! So so happy! :) Mike absolutely loves them & thanked me for pushing him to do them!